We work with Google's ARCore and Apple's ARKit to develop the best mobile agumented reality apps. Working on Augmented Reality app development with the latest software from Apple and Google. AR / VR app development expertise with great UI/UX. Developing mobile apps using the best augmented reality development for different platforms. Our mobile app development company works with the best technology for augmented reality app development. Working with ARKit and ARCore for mobile augmented reality app development. We have a good team for Augmented reality that's why we are fully confident to deploy a 100% satisfactory work. 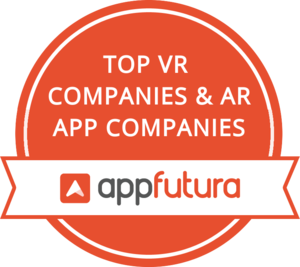 We specialize in Working with ARKit and ARCore for mobile augmented reality app development. We work with the best team of app developers just to develop the best augmented reality mobile app for you. At Codiant, we offer cutting-edge Augmented Reality app development solutions for wide range of industries including healthcare, transport, education, ecommerce, e-learning, and more on multiple app platforms. Working with the new softwares from Apple and Google for augmented reality app development. We work with Google's and Apple's Augmented Reality platforms just to get the best result.